The passing of Steve Jobs has been one of those unreal events that you knew could very well happen, but were certain it would not; an unsurprising total shock. 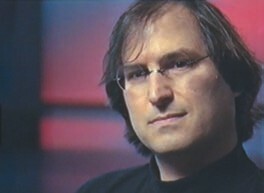 The November release of Robert Cringely’s documentary, Steve Jobs: The Lost Interview, offers a chance to reflect on what it means to continue using Apple® products without Jobs guiding the company. After all, Apple already let us down before: after firing Steve, their standards slipped to the point that Jobs, in the interview, was foreseeing Apple’s imminent demise. Cringely’s 1995 original interview, thought lost until after Jobs’ death, sheds a revealing light on what motivated Steve Jobs in his passion for Apple. Recorded not long before Apple offered to buy NeXT™ and bring Jobs back to the helm of the company he founded, the interview retraces the steps that led him to create the Macintosh® phenomenon. Among highlights of the interview, Jobs quotes Picasso about good artists copying ideas and great ones stealing them. Cringely asks Jobs if he sees himself as a hippie or a nerd. Jobs chooses hippie. He valued the input of artists and poets as much as that of engineers. Steve has left Apple again, this time for good. What does this mean for Mac® and iDevice users? If he was right about the need to surround oneself with top-notch people, then we should be in good hands. This time, Apple is on a good trajectory—that “vector” he describes to Cringely—with people carefully picked to ensure their choices will take the company in the right direction. We have observed Apple’s unbelievable successes over the past few years, so future missteps will easily be blamed on Steve’s absence—sometimes rightfully so, sometimes wrongly. Not everything Apple attempted was a sure hit. What is important is that Apple, under Jobs’ guidance, revolutionized the computer industry again, and again. Jobs was compared to Thomas Edison, a great inventor; but I consider him a revolutionary captain of industry like Henry Ford. Ford was the first carmaker to build vehicles his own workers could buy; Jobs made machines people love. Not love by blind “fandomness,” but because they were carefully crafted by impassioned humans to help solve everyday problems. kim posted this article under Tribute	on Sunday, January 1st, 2012 at 12:00 pm	You can follow any responses to this entry through the RSS 2.0 feed. Both comments and pings are currently closed.